holds displays up to 24” with maximum weight of 22 lbs, VESA mounting pattern, accommodate displays from 0.5” – 1.96” thick, one-touch arrangements for tilt, pan or swivel adjustments. The 66643 flat panel arm holds displays up to 24” with maximum weight of 22 lbs. It supports VESA mounting pattern of 75mm x 75mm or 100mm x 100mm configuration. It is able to accommodate displays from 0.5” – 1.96” thick. 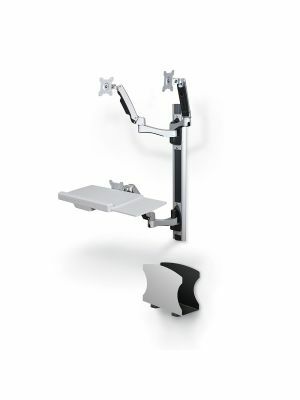 The 66643 flat panel arm offers one-touch arrangements for tilt, pan or swivel adjustments. The Balt HG flat panel monitor desktop clamp arm brings the most convenient features for mounting purposes. The 66643 flat panel arm is designed in such a way that it ensures customizability and provides handy features. The innovative 66643 flat panel arm comes with one-touch adjustment feature that eliminates the need of buttons, knobs, switches or levers for fine-tuning. Users can easily adjust pan swivel or tilt scale with only one hand. The spring-loaded junctions provide repositioning to the arms along with a firm grip to stay put. The arm is capable of holding monitors up to 24” with the maximum weight of 22 lbs. it is compatible with VESA mounting in 75mm x 75mm or 100mm x 100mm configuration. The 66643 flat panel arm saves ample space on your desktop by safely getting attached to it through a clamp tool. There is an optional additional arm available for dual monitor support that provide extra value in return. The flat panel mount joint offers 180 degrees of swivel adjustment and 110 degrees of tilt adjustment. Users can configure the desktops in portrait or landscape position, thanks to the 360 degrees rotation feature. Q. Does Balt flat panel arm come with warranty? Q. Does the Balt flat panel arm hold displays more than its weighing capacity? A. Yes, the Balt flat panel arm can hold displays more than its capacity, however it is always recommended to use the carts of required capacity. Our store offers carts that accommodate all kinds of displays. Q. Where can I use the Balt flat panel arm? A. 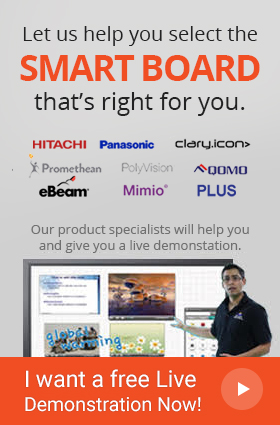 The Balt flat panel arm is ideal for every kind of industry such as business environments for presentations and seminars and class room environments for lectures and collaborative discussions. Q. How can I clean the Balt flat panel arm? A. In order to clean the Balt flat panel arm, use the wet and soft sponge and lightly rub over loose dirt.